When Jeff Katz was approached about becoming Foundation’s next Board chair, he couldn’t say no. His commitment to and involvement in our community agencies led him to the Foundation as the next natural step in seeing to our community’s future. “The long-term health of our Jewish community depends on legacy giving. Tucson has always been a model and I want to help ensure that we are adapting to the changing needs of donors and all of the organizations we support,” says Jeff, who has been a Foundation trustee since 2010. 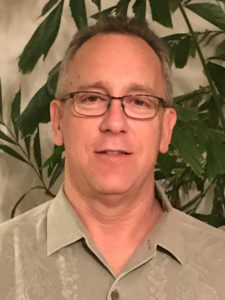 Previously, he served for 22 years on the Board of Directors of the Jewish Federation of Southern Arizona, with a two-year term as Board Chair. He also served on the board and as Board Chair of Jewish Family & Children’s Services and has been a board member at the Jewish Community Center. “I was born and raised in Tucson and our Jewish community here is very important to me,” says Jeff. He and his wife Fran, who is the Federations’ Senior Vice President, are both University of Arizona graduates and have two adult children, Aimee and Adam. In his personal time, Jeff is an avid poker player and still loves playing every Sunday in the JCC’s men’s basketball league.